I want to start off with a massive thank you for all your wishes about the engagement, I got some good wedding advice as well! I’m really enjoying planning the wedding at the moment! Making good use of those Google excel sheets and whatsapp groups! So it’s going to be in December over three days – sangeet, wedding and reception. I’m absolutely terrified about the sangeet because both my fiance and I cannot sing or dance! But his sister is going to make sure we don’t make fools of ourselves on stage! I’m also done with all the major things like venues, photographers, makeup artist etc. I’m now looking forward to all the food tastings and trying on lehengas! 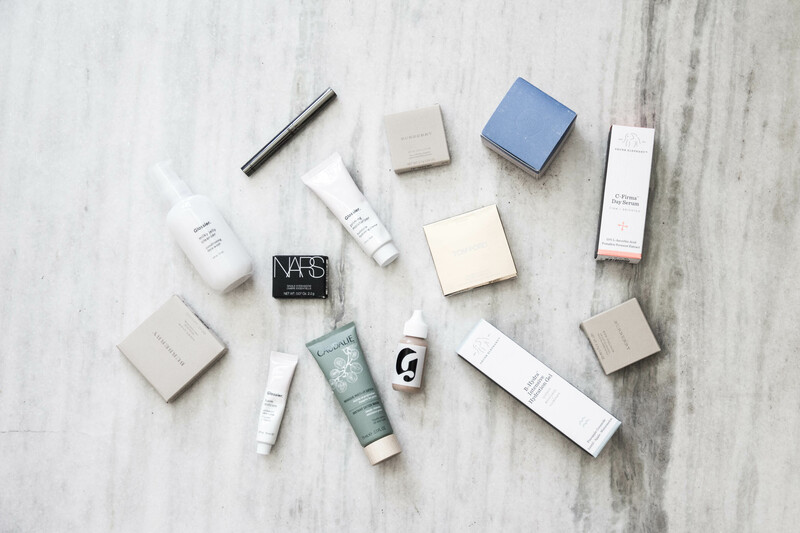 Today I just want to show you guys some of new things I bought over the last 2-3 months, there’s a lot more skincare than usual and a very surprising absence of lip products! I had placed a Glossier order in the beginning of the year, one from Feel Unique and another during the Sephora VIB sale that I got sent over just recently. If you follow me on Snapchat, you might have seen a few of these already. I had always wanted to try Glossier products since they launched but the new cleanser really made me pulled the trigger! 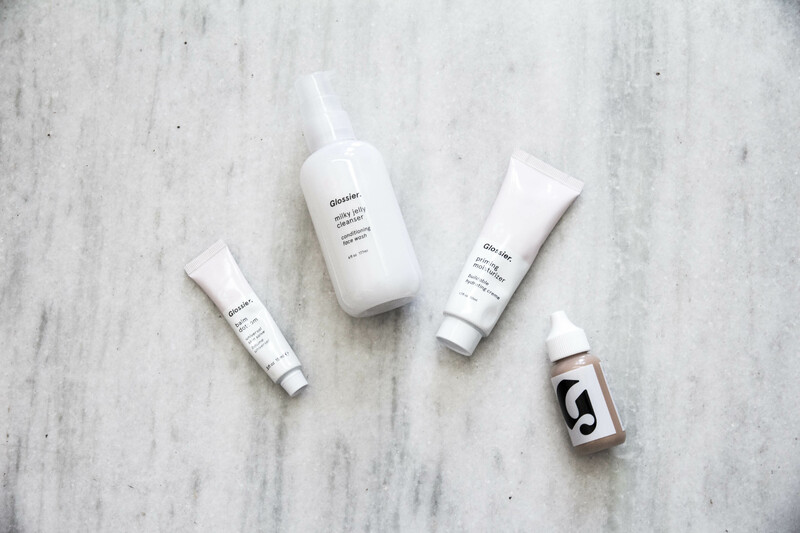 I picked up the Glossier Phase One Set, reduced in price thanks to a nifty discount code! 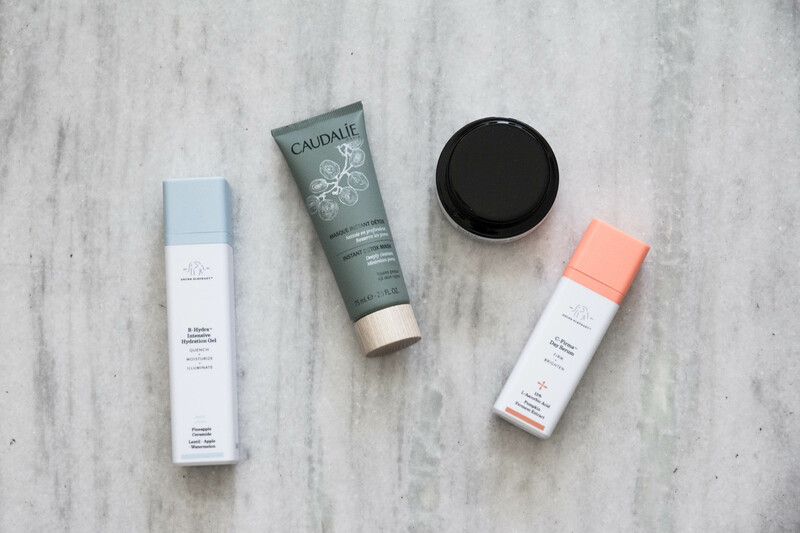 This set includes the Milky Jelly Cleanser, Priming Moisturizer, Skin Tint in Dark and Balm Dotcom. I’ll be using the cleanser once my Oskia Renaissance Cleansing Gel runs out and the Priming Moisturiser once I use up the Embryolisse Lait-Crème Concentré. So far, I’ve only tried Balm Dotcom. It’s a heavy duty lip balm comparable to Nuxe Reve de Miel but much thicker, more like a salve. It’s one that I can use in extreme cases like chapped lips or irritation because it’s just too heavy to use everyday. I also used it on my knees once when I had developed really dry scaly skin there, it repaired it perfectly! I’m glad I have something like this in my collection but it’s only going to be used when needed. 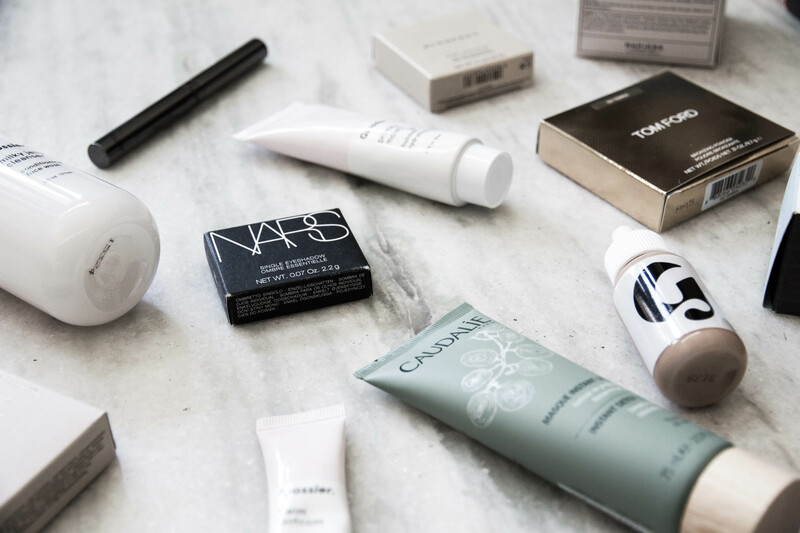 Up next we have some more skincare that I picked up during the Sephora VIB sale in April. I wanted a back up of the Drunk Elephant C-Firma Day Serum. I talked more about this in my skincare routine post, but it’s a Vitamin C serum I use every other day in the morning. It really helps with reducing hyperpigmentation, acne scars etc. I’ve been on the lookout for a hydrating serum to use in the next couple of months and I decided to get the Drunk Elephant B-Hydra Intensive Hydration Gel. It’s more of a lightweight water gel which will be interesting to try and might be very comfortable to use when it gets humid here! I’ve heard a lot of talk about the Caudalie Instant Detox Mask being gentle and very effective at deep cleaning pores and clarifying skin, so I’m very excited to try this! I’ll also be needing a moisturiser after my Kate Somerville Goat Milk Cream runs out, so I decided to get the Belif The True Cream Aqua Bomb. It’s that water gel kind of texture and is supposed to be very hydrating. I’ll definitely be talking more about these when I do an updated skincare post. Next up is my Sephora haul. 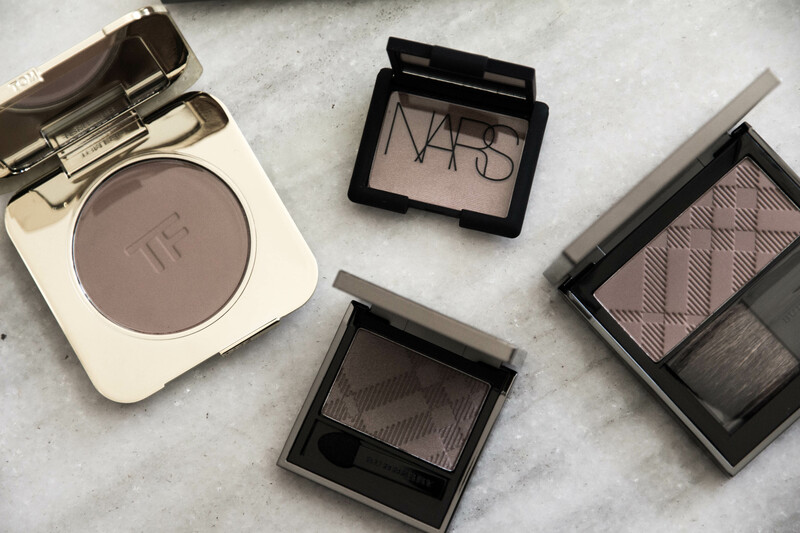 Only because it was on sale, my last minute splurge was the Tom Ford Small Bronzing Powder in Terra. Isn’t the packaging just perfect, it’s so sleek! I’ve only used it once but I like that it isn’t too orange or too dark for my skintone, I love the color. It’s subtle and I can build it up as needed. 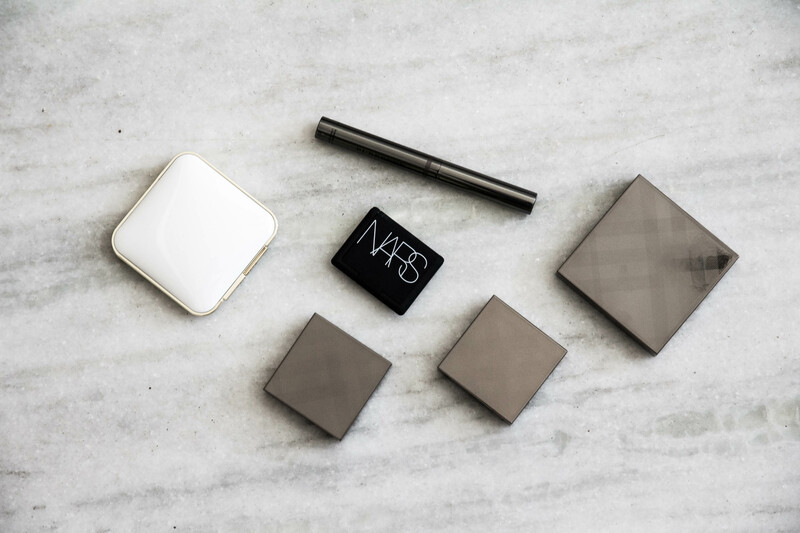 I’ve had the Nars Eyeshadow in Nepal on my wishlist for a long time! I feel like it’s the perfect muted peach eyeshadow. Several times I’ve wanted to buy those limited edition Nars palettes just for this shade but common sense prevailed. It’s very pigmented and soft but not very buttery. I wishlisted the Burberry Eye Contour Smoke and Sculpt Pen in Midnight Brown when it launched. It’s very very similar to the By Terry Ombre Blackstar. The formula feels identical and this one stays in place for many hours as well. Midnight Brown is a really good all over the lid colour for me, it’s similar to my natural lid colour with some shimmer. Feel Unique had one of their sales and I couldn’t resist picking up some more Burberry products that I had wanted for a long time. I picked up two Burberry Wet & Dry Silk Shadow in Rosewood and Almond. Rosewood is an amazing muted dusty rose with light shimmer while Almond is a matte medium brown. Almond works really well as all over the lid or transition colour for me. Rosewood is the kind of pink/mauve eyeshadow that I’m really into at the moment. Both formulas are buildable and very soft and buttery. I’m a hoarder when it comes to very light, barely there blushes, Burberry Skin Light Glow Blush in Earthy has been on my wishlist for a very long time now. The scent on the blush is insane, a bit too strong but it’s all acceptable for the colour and formula! It’s a muted peachy brown that on my skin, looks like a very light peachy wash. Something like Mac Peaches looks too light on me but Earthy is better suited for my skintone but doesn’t make me look muddy. I’ve been using this a lot this month, the powder formula is very soft, not too pigmented and easy to blend. I’ll be using these a lot more of these over the next few months. I also do mini reviews on Instagram or Snapchat from time to time because I don’t blog as often so I’ll be sure to mention these. Looking back I think I did go a bit eyeshadow crazy but I’m still very surprised I didn’t buy any lipstick.